Take the beauty of the sea wherever you go with this deep blue Lapis watch. A unique piece of Native American jewelry, the tips are handmade in Sterling Silver by Navajo artist Tom Yazzie. 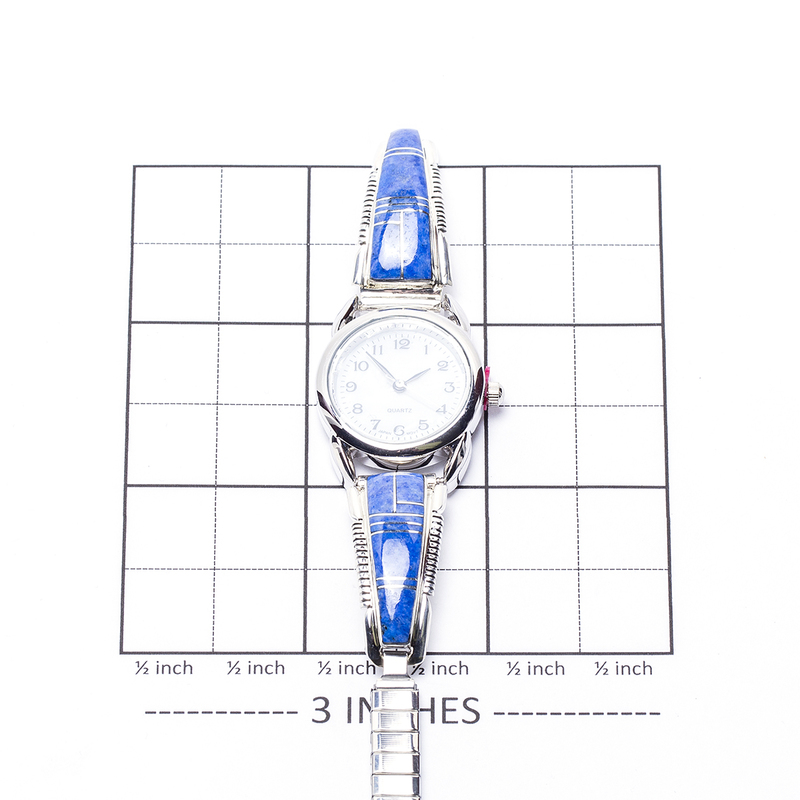 The tips will accommodate a standard ladies’ watch and the stretch band is adjustable to any wrist size. 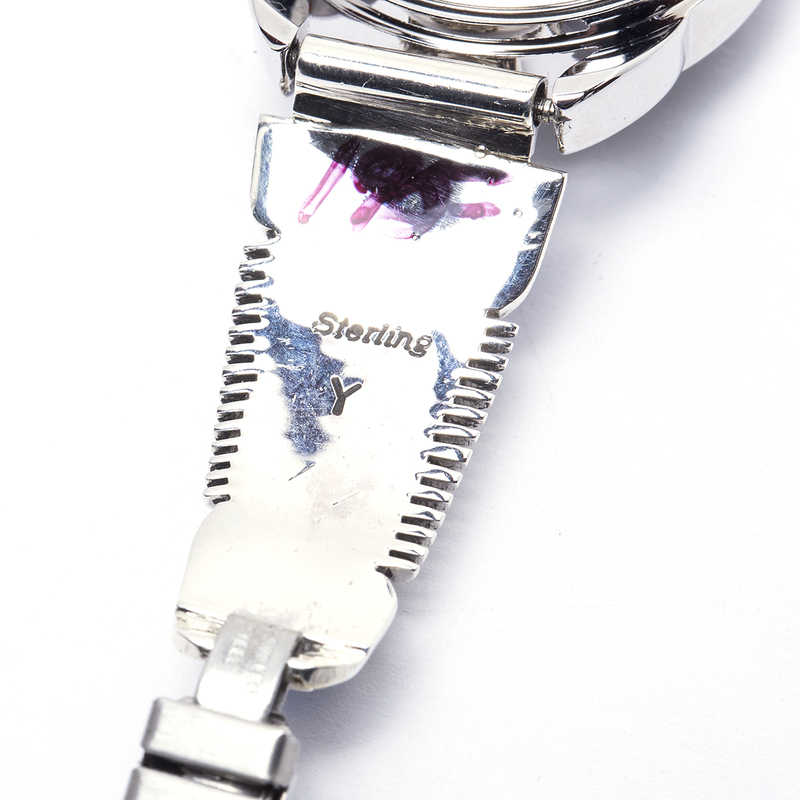 A basic quartz battery watch is included. Width of tips: 9/16″ 1″ in diameter. 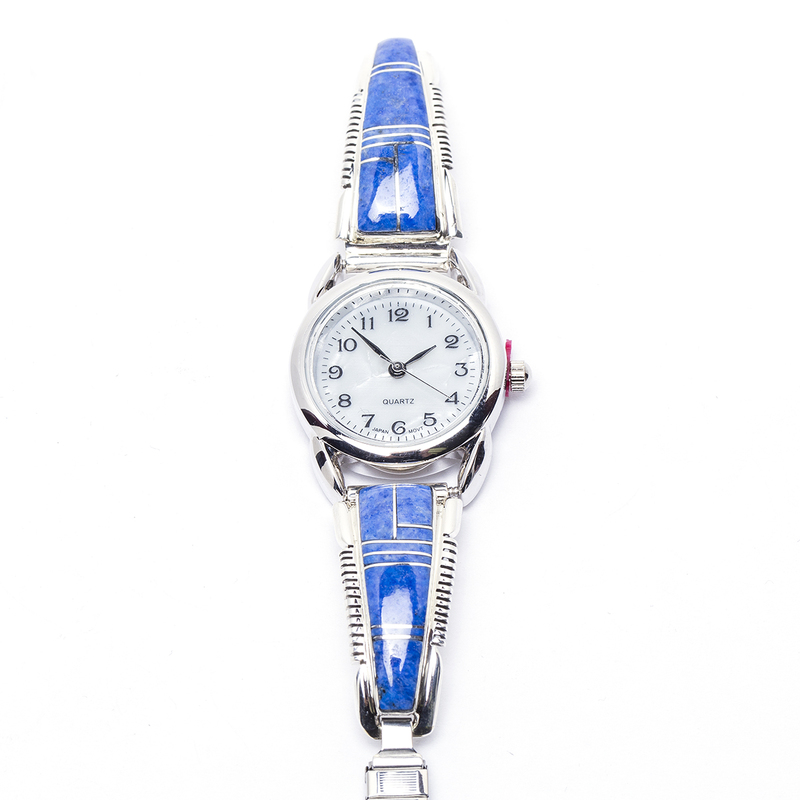 Navajo Tom Yazzie Geometric Lapis Watch features deep blue Lapis set in Sterling Silver! Tips are handcrafted by Navajo artist Tom Yazzie.